The principal job of the German Navy, the Kriegsmarine, in Operation Sealion would have been to transport the ground forces to England, provide resupply, and prevent attacks during this process by the Home Fleet of the British Royal Navy. 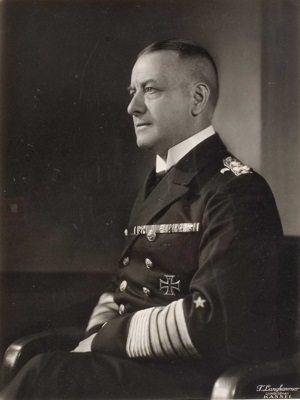 Additionally, simply transporting the German troops across the Channel, even without British opposition, was a major problem: Unlike the British and American navies, the Kriegsmarine did not have amphibious landing ships or experience. Given the lack of landing craft, a plan was made to adapt barges and create rafts for transporting the invasion fleet. This was highly risky, as the barges were slow, had poor seaworthiness (they could be sank by a destroyer simply passing by nearby), and were undermanned - the Germans simply did not have enough men with nautical experience.